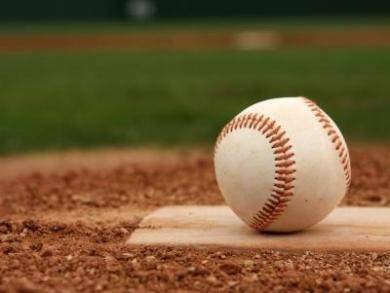 GALION — After some shuffling around of the day’s schedule, the Galion Tigers baseball team was able to open their regular season on Saturday, March 23 against the visiting Norwalk Truckers. Thanks to a late rally, the hometown Tigers would come out on top and open their season in the win column, defeating the Truckers by a final score of 4-3. Norwalk would strike first in the opening frame, tacking on all three of their runs in the bottom of the inning. Galion would manage to get on the scoreboard in the top of the fifth and would use a three-run seventh inning to put the contest away and earn the victory. Carter Keinath was on the hill for Galion and went the distance, scattering eight hits leading to three earned runs while walking just one batter and fanning five. Keinath also accounted for one of the Tigers’ runs on the day. Ryan Utz finished the contest with a three-hit game for the home team, belting two singles and a double while also driving in a run. Markis Lawson also finished with a multiple-hit game, recording two singles while scoring twice and driving in one. John Abouhassan and Cameron Payne recorded the Tigers other two hits on the day, both singles. Spencer Keller drove in a runner and Jackson Staton scored once in the Galion victory. For the game, the home team scored four runs on seven hits, committed three errors and left six runners on the base path. Norwalk plated three runs on eight hits, had one miscue and also left six runners stranded. Galion played host to the Pleasant Spartans to begin their Mid-Ohio Athletic Conference schedule on Tuesday. On Wednesday, the two squads will meet again on the Spartans’ home field. Opening week wraps for the Tigers with a trip to Attica and a doubleheader against Seneca East on Saturday, March 30. PLYMOUTH — After falling, on the road, to Lucasville Valley by a score of 3-2 on Saturday, March 23, the Colonel Crawford Eagles baseball squad headed to Plymouth on Monday for a meeting with the hosting Big Red. Things came down to the wire between the two teams but it would be the Eagles coming out on top by a final score of 4-3. Carson Feichtner picked up the win on the mound for Crawford and helped his cause with two hits at the plate. Drayton Burkhart pitched his way to the save on the day. Cade Hamilton started the game on the hill for the Eagles and would help his squad put away Plymouth late by delivering a two-run single in the sixth inning to put the contest at its eventual final score. Hamilton would record two hits on the day that led to three runs batted in. Despite picking up the one-run victory, Colonel Crawford committed six errors in the field of play on Monday. The Eagles are set to begin Northern-10 Athletic Conference play on Wednesday, March 27 when they welcome the Upper Sandusky Rams to their home field. On Friday, Crawford and Upper will meet again, this time on the Rams’ home turf. A meeting with the Crestline Bulldogs awaits the Eagles on Saturday, March 30. MANSFIELD — On Monday, the Crestline Bulldogs were finally able to get their 2019 campaign started with a trip to Mansfield and a non-conference meeting with the hosting Senior Tygers. In a game that came down to the wire, it would be the Tygers coming away with the narrow victory; 10-9. Opening week continued on Tuesday for Crestline when they headed to Bucyrus for a meeting with the Redmen on Tuesday. The Bulldogs are scheduled to head to Plymouth for a clash with the Big Red on Wednesday before hosting the Colonel Crawford Eagles on Saturday, March 30.